Join us for this class on the Ennegram so you may grow your understanding of this ancient tool. Tickerhoof writes that the Enneagram is a "tool for freedom and transformation" (Conversion and the Enneagram, p. 134). He makes great claims for the Enneagram. It is not just a “model” of personality types, and it is more than an intellectual tool. "It is also meant to be an experimental tool, one that offers us a way, not simply of understanding human transformation, but also of helping us to enter into the process of transformation” (Ibid p. 142). wrestle with questions on how to apply this knowledge to your life. You may also find it of interest to read a recent article from The Presbyterian Outlook about the Enneagram. Fr. Bernard Tickerhoof, TOR, is a friar of the Third Order Regular of St. Francis. He is currently the director of ongoing formation for his religious community, and is a member of Franciscan Pathways, the community’s retreat ministry. Fr. Bernie offers retreats and spiritual programs in retreat centers, parishes, and religious congregations and has developed a variety of programs on contemporary spirituality, faith and biblical conversion, and leadership development. Fr. Bernie received his master of divinity from St. Francis Seminary, formerly in Loretto, Pa., in 1978, and master of theology in spirituality and liturgy through the Jesuit School of Theology at Berkeley, Calif. (now part of Santa Clara University) in 1979. He received his doctor of ministry at Pittsburgh Theological Seminary in 2001. He has also pursued graduate studies at the Franciscan Institute at St. Bonaventure University and at the Catholic University of America. Ordained in 1978, Fr. Bernie has been involved in spiritual ministry and retreat work since 1979. He has traveled widely throughout the country in a ministry of preaching, spiritual conferences, and retreats. He is a founding member of the Vineyard Guild, an ecumenical organization dedicated to promoting spiritual leadership. He is also a member of Spiritual Directors International and has an active ministry in the spiritual direction of a number of individuals. Other interests include storytelling, social justice, ecumenism and inter-faith, and ecological concerns. He is the author of several books and articles on the spiritual life. Registration Fee: $380 / Includes Monday lunch and dinner, Tuesday lunch, and refreshment breaks. All other meals and lodging are the student's responsibility. *This class is open to all regardless of their participation in the Spiritual Formation Certificate Program. If you are interested in learning more about the certificate program, please r-mail us for details at ConEd@pts.edu or visit the Spiritual Formation website. Lodging: Limited lodging is available on campus. Reservations can be made by contacting our Reception Office at reception@pts.edu or 412-924-1397. Schedule: Download the general schedule for this class. Please do your best to read the required books before your arrival. If you wish to be in the Spiritual Formation Certificate program, you should prepare a one-page reflection paper for each required book; these will be collected the first evening of class. If you do not plan to seek the certificate but are taking the class for personal enrichment, the reflection papers are not required but we strongly encourage you to read the texts to get as much as possible from the class time. David Daniels and Virginia Price, The Essential Enneagram: The Definitive Personality Test and Self-Discovery Guide. HarperOne, Revised and Updated, 2009. 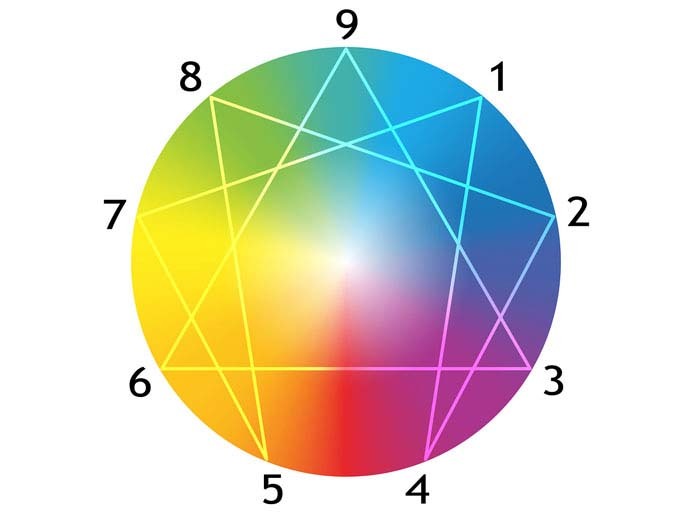 Sandra Maitri, The Spiritual Dimension of the Enneagram: Nine Faces of the Soul. TarcherPerigee; Reprint edition, 2001. Marilyn Vancil, Self to Lose, Self to Find. A Biblical Approach to the 9 Enneagram Types. Redemption Press, 2016. Call 412-924-1345 or E-mail ConEd@pts.edu.